Forward-looking: Charging time on electric vehicles is being reduced. There is likely to be a point in the future where electric vehicles can be recharged in the same or less time than it takes to refuel at a gas station. Adoption of electric vehicles is still increasing, but there are many consumers who do not want to have to wait while their vehicle is recharged. Charging an electric car in the same amount of time that it takes to refuel a vehicle with a combustion engine would be a major breakthrough. 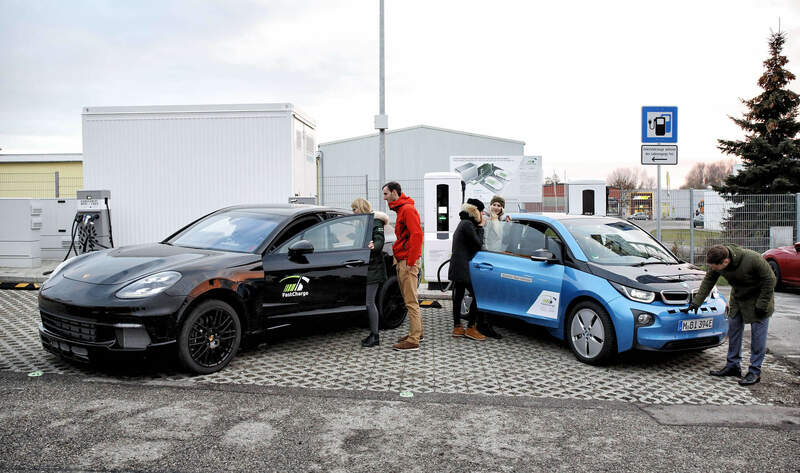 Through an industrial consortium comprised of automakers Porsche and BMW as well as Siemens AG, Phoenix Contact E-Mobility, and Allego, the Fast Charge research project has culminated in a standardized solution. Beginning in July 2016 with $8.8 million in seed money from the German Federal Ministry of Transport and Digital Infrastructure, a charger supplying up to 450kW has now been realized. Prototype charging stations make use of the Combined Charging System (CCS) with a charging port and plug that are standard in Europe. Although Porsche and BMW main contributors to the development of this project, any vehicle adhering to CCS specifications can use the system. Notably, Tesla has also agreed to support CCS on the Model 3 and will retrofit charging stations with necessary connectors. Maximum charging rates are automatically negotiated between vehicles and the charger similar to how fast charging works on smartphones. Currently, the fastest charging mode is available to vehicles with 400V and 800V battery packs. Leaving some room for future innovations, the charging system can support battery packs up to 920V. Porsche was able to sustain charging rates of 400kW into a 90kWh battery, offering more than 62 miles of range in less than three minutes of charging. BMW is claiming the same range in three minutes and notes that charging from 10 percent remaining on up to 80 percent capacity takes just 15 minutes.